It is a blend of pure maple syrup and pure cane sugar syrup. It does not contain preservatives, artificial color or artificial flavor. A zippy blend of ingredients to spice and heat up your Sunday mornings! IT’S BACK !!! Our customers tell us it's the best tasting, more robust than other worcestershire sauces and just plain "builds a better burger" and more! An old time favorite is back! Walnuts in maple flavored syrup and vanilla. Use as an ice cream topping, spoon over pancakes, french toast, corn bread and our fave - over butternut squash! Or as Grampa did, grab a spoon and enjoy right from the jar! A blend of vanilla beans, cinnamon and extra fine sugar for a tasty treat. We also offer a vanilla sugar. Try either sprinkled over fruit, on buttered toast, over winter squash - whatever! A blend of vanilla beans and extra fine sugar for a tasty treat. We also offer vanilla cinnamon sugar. Try either sprinkled over fruit, on buttered toast, in coffee, over fresh berries - whatever! Red wine vinegar and vanilla extract. Add oil and use as salad dressing. Use as marinade or drizzle over fresh fruit. Shake well. Our own blend of savory spices! Salt and MSG free! 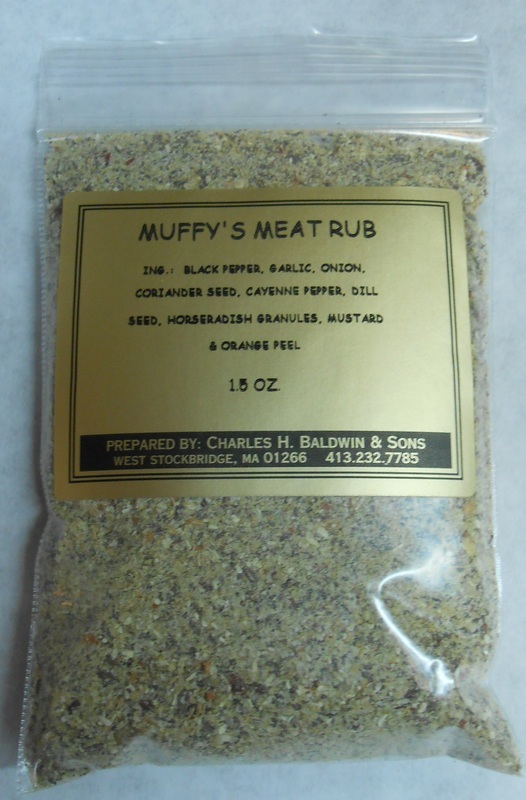 Use as a dry rub on beef, chicken, pork, seafood. A little dash even spices up veggies! An old fashioned astringent for aftershave, bug bites and whatnots! Old fashioned men's toilette water (aftershave), just like the barber used back in the day. A wonderful, light blend of bay and clove oils. 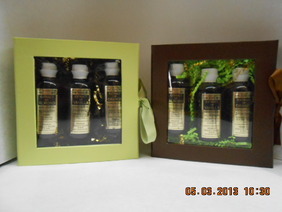 Each with a recipe flyer, nestled in raffia, gift boxed and fastened with a fabric ribbon.